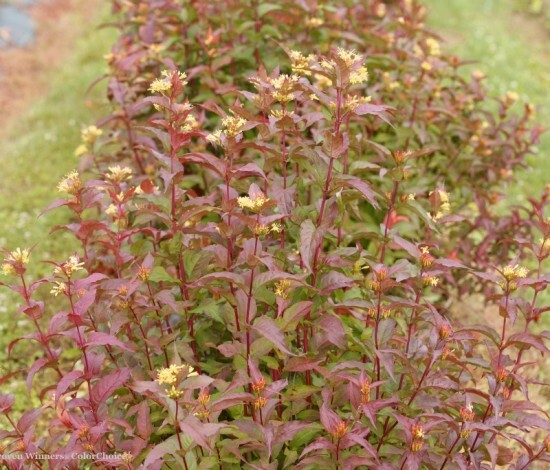 Diervilla 'Kodiak Red' has fantastic foliage colour from spring to fall. 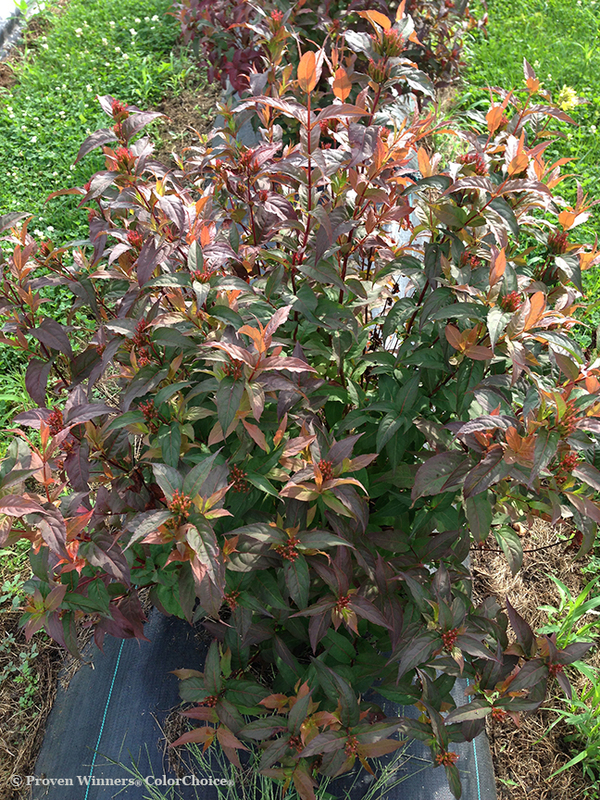 New growth is red, changing to glossy green with red tips in the summer and then back to red in the fall. It also has bright red stems. In midsummer bright yellow flowers add to the appeal. 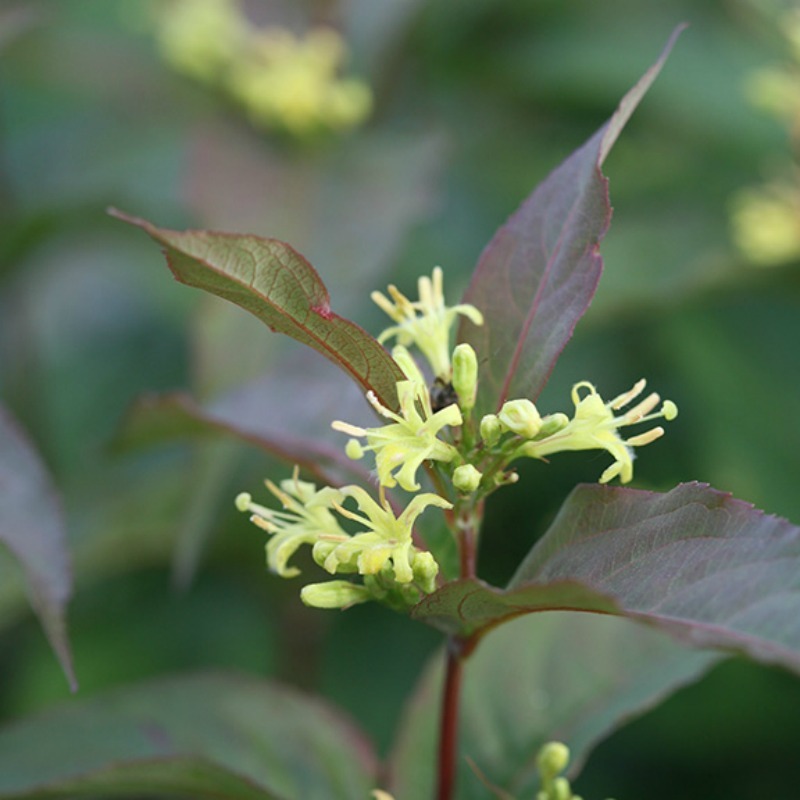 It is an excellent plant for the woodland garden where it will thrive in morning or late afternoon sun and will even tolerate a dry site. Diervilla is adaptable to most soils, including dry sites. It blooms on new wood making maintenance very easy. 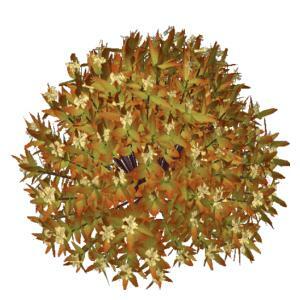 It can be pruned to shape in the spring without fear of damaging summer bloom. It is not invasive like some varieties of honeysuckle.